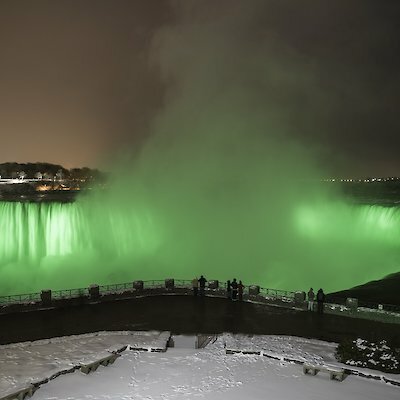 The Niagara Falls Illumination Board will renew its partnership with Tourism Ireland’s “Global Greening” campaign this year, as it lights up Niagara Falls in green on Friday, March 17 for St. Patrick’s Day. The Falls will shine a brilliant shade of green for 15 minutes at the top of each hour from 9 p.m. to 1 a.m., in celebration of all things Irish. 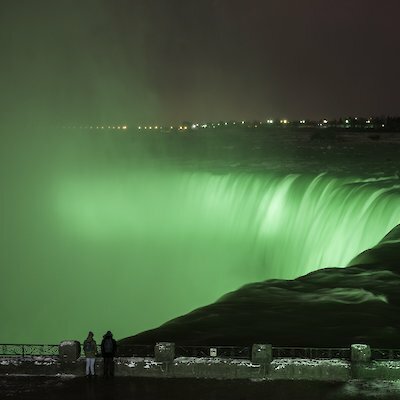 The “Global Greening” campaign connects Niagara Falls with many other world icons such as the Empire State Building, the Colosseum in Rome, the Christ the Redeemer statue in Rio de Janeiro, Nelson’s Column in London and the Leaning Tower of Pisa, in honouring this festive day. The opportunity to partner on this annual Tourism Ireland initiative, allows the Niagara Falls Illumination Board to showcase the more robust colour spectrum and increased lighting capabilities now being provided by the newly enhanced LED lighting technology, unveiled by the Board this past December.